ANN ARBOR—Democrats, Republicans and independents are all less likely to support candidates who would undermine the independence of law-enforced investigations, according to a new study from Bright Line Watch. Brendan Nyhan, a professor at U-M’s Ford School of Public Policy, is one of four co-directors on the Bright Line Watch team, a group of political scientists who monitor the state of democracy in the United States. The report, “Party, policy, democracy and candidate choice in U.S. elections,” shows that both Democrats and Republicans claim they support free elections—Republicans by combating voter fraud and Democrats by ensuring equal voting rights. The report also found that partisanship and policy positions affect voters’ choices and that candidates’ stances on discrimination and affirmative action do matter. Republicans are nearly 4 percentage points less likely to select a candidate who wants the government to do more to protect minorities than one who thinks discrimination is less of a problem now than in the past. Democrats, in sharp contrast, are 13 percentage points more likely to select a candidate who wants the government to do more to protect minorities. Other authors of this Bright Line Watch survey are John Carey and Katherine Clayton of Dartmouth College, Gretchen Helmke of the University of Rochester, Mitchell Sanders of Meliora Research and Susan Stokes of the University of Chicago. Brendan Nyhan is a professor of public policy at the Ford School. 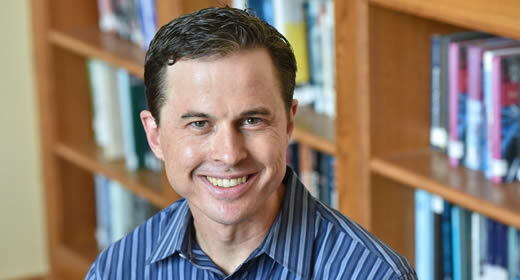 His research, which focuses on misperceptions about politics and health care, has been published the American Journal of Political Science, Journal of Politics, and the Proceedings of the National Academy of Sciences, among other journals. Nyhan is also a contributor to "The Upshot" at The New York Times; a co-founder of Bright Line Watch, a watchdog group that monitors the status of American democracy; and a 2018 Andrew Carnegie Fellow.